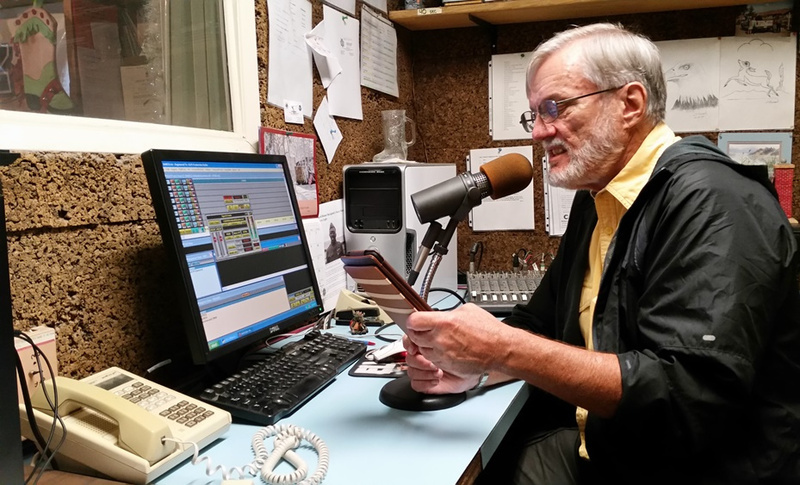 Each week I write and record a radio program on our local AM Station, KLPZ. The show is called Tales From the Scrypt, Stories You Can Believe In. It’s a short form program sharing true stories from the Bible. It’s not on the internet yet, but you can hear it when it airs on KLPZ, 1380 AM on Thursday mornings between 9:30 and 10:00 AM. I hope to re-record some of them for my Disciple Up Podcast so keep listening as I’ll update things when I can. Recording Tales From the Scrypt at the KLPZ studio.